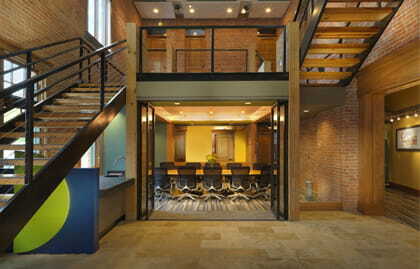 A Full-Service Architecture & Design Firm Specializing in public buildings and educational facilities. PARTNERS in Architecture, PLC is a full-service Michigan architectural firm. Driven by a passionate pursuit of excellence, we work closely with our clients to achieve project goals and objectives by providing responsive solutions set apart by aesthetic appeal, functionality and value. Our firm's founders work feverishly with our project teams to deliver results through clear communication and strong, consistent leadership. We utilize our entrepreneurial spirit, creativity and forethought to exceed expectations and commit to “getting it right”. The firm is driven by ingenuity, integrity, technical precision and unparalleled service standards. We are efficient and effective at what we do. With PARTNERS, you will experience truly responsive and personalized, professional services. Please explore our website or contact us directly to learn a bit more about our passion, commitment and capabilities. To lead our clients to their goals through strong leadership, effective collaboration and clear communication. Questions of comments? Speak to a member of our team today to discuss your project, schedule a consultation, or to request additional information.